Get the details of their fifth studio album and watch their videos, which feature four new tracks. Gorillaz have announced the details of their fifth studio album, Humanz, which is set for release on 28 April 2017. The Damon Albarn and Jamie Hewlett-created animated outfit have released the follow-up to 2011's The Fall, alongside four new tracks. Their 14-track album sees Murdoc Niccals (bass), Noodle (guitar), Russel Hobbs (drums) and 2D (vocals) joined by a stellar line up of artists, including Jenny Beth (savages), De La Soul, Grace Jones, Vince Staples and Rag'n'Bone Man. The album details were revealed alongside Jamie Hewlett-directed epic videos, which previewed four new tracks in Saturnz Barz, Ascension, Andromeda, and We Got The Power. Listen to the four new tracks now! 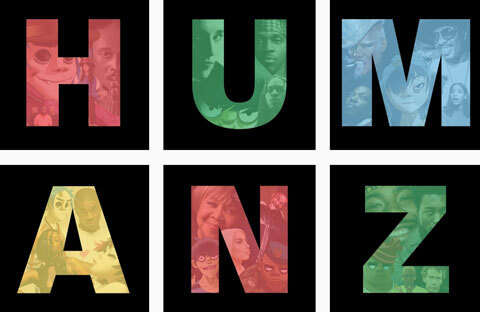 Humanz is available on standard CD, vinyl and as a digital download, as well as a 19-track 2-CD Deluxe. A limited edition Super Deluxe Vinyl Box Set featuring additional alternative versions of all 14 album tracks will also be available.